This is one of the most asked questions nowadays. Even though it sounds too good to be true, it is a reality for a bunch of people who made the most of their skills, followed a couple of tips and learned the nuts and bolts of making money through Instagram. With more than 800 million monthly users and sky-high engagement levels, Instagram is definitely among the top social networks out there. In 2018, even 80% of the accounts are following businesses on Instagram, which is another clear indicator that the platform is growing. However, growing a base of followers has been one of the biggest challenges for the majority of users on Instagram. Posting the greatest content in the world is not enough – and buying the perfect Instagram automation service is not always the answer. If you are in the same shoes, we have some good news. Today, we are listing the fifteen best secrets for getting more followers on Instagram – shared by professionals. The first secret is one of the most important in our list – and revolves around building a certain theme for your followers and making most of it. In other words, creating a theme is a strategy that allows your followers to get used to the type of content that you are posting. 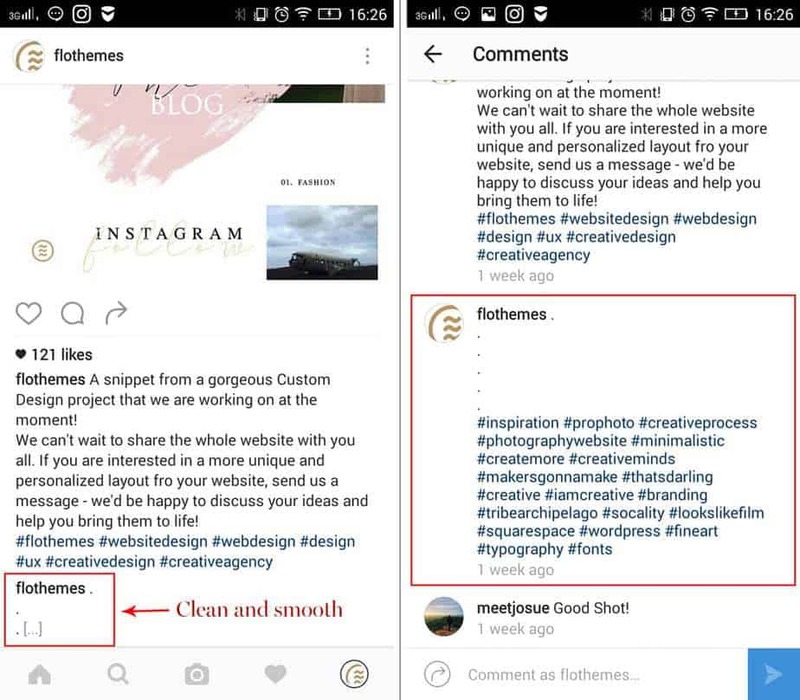 Cohesive and similar (yet different), your theme should include posts that make your Instagram feed look like a visual marketing platform that is linked in, relevant and on-brand. As some Instagram bloggers say, creating a theme is the first step towards building your brand – whether you are an individual or a business. If you want to build a large following on Instagram, you will have to put some effort into building your presence on other networks too. Rome was not built in a day – and your social following won’t be either. The idea is to grow multiple social networks in parallel with your Instagram account. It can be Twitter, Facebook or even LinkedIn if you are into corporate stuff – all in order to direct your frans from and to Instagram with great content. Believe it or not, this will help you rake in more followers in the long run. Years before, it was really hard to get more followers and build a consistent network on Instagram. However, in 2018, the Instagram ads let you do that in the blink of an eye. They are a great tool for boosting your presence – and even allow you to reach people based on their interest, likes and demographics. When you see it, every dollar spent on Instagram Ads is well spent – especially if you know how to advertise and to whom you are sending your promotional message. The ads are precise and let you talk to the people who will be interested in particular types of content. If your content is relevant to your target audience, you will get more followers and grow your Instagram base. Quotes are really viral nowadays – and can help you a lot with your posting strategy. The truth is, everyone can engage with quotes in an easy way. Even if they don’t believe in a specific quote or its meaning, most of the users will stop and think about it. On top of this, quotes definitely stand out among other types of photos and are incredibly easy to design nowadays (Canva or Photoshop can help you around that). Still, you need to make sure that the quotes you post are relevant to your followers. For example, a success coach can easily use success quotes – but not funny ones or ones about politics. If you need inspiration for finding quotes, Pinterest can always be a good idea. Earlier this year, Instagram extended the timeframe for videos, allowing minute-long videos to be published. However, there are still many people who don’t use videos appropriately or don’t take the opportunity to create engaging videos about their products or services. If you are looking for ideas for great videos, you can start with how-to videos or video showcasing some of your happy customers and their experiences. A dynamic and engaging video is a great way to grow your Instagram followers. Instagram Stories are a great way to engage with fans. Like it or not, they will be able to see your updates, latest news and ideas. 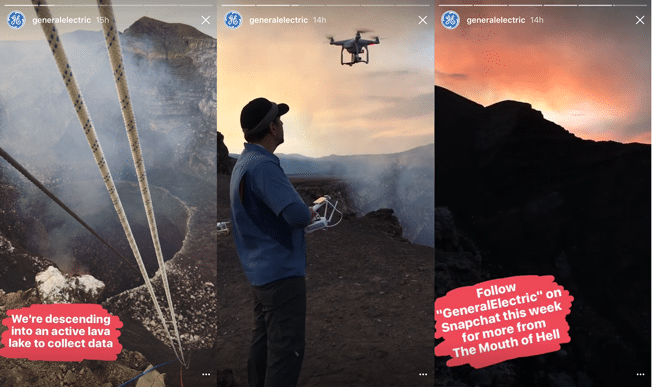 Without a doubt, Stories are becoming another mini platform inside Instagram’s platform – and a great way to engage your potential customers. If your fans and followers are posting content, you should be lucky. User-generated photos and videos are among the best ways to grow your Instagram follower count. Simply put, the type of content is awesome because it is genuine media that is related to your brand. In other words, user-generated content is like visual testimonials for your business done by your followers (without you asking for it). To other followers, this content will show that you care. In a selfish way, it can encourage other fans and followers too – to post their own content with your brand – hoping to get featured on your profile. This will help you boost brand engagement and build authority online. Your comments are not just there to sit as numbers. If you see them, you will definitely find one that actually demands certain information from you. Whether it’s information about your working hours, your travel itinerary or ideas, replying means caring for your followers – and building meaningful relationships every step of the way. Comments, on the other hand, are a great sign that your Instagram followers are engaged with your photos. So, it is up to you to respond and give them what they deserve. For better effect, you can even @mention them – or even follow them – and you will know that the relationship is strong. As you may already know, hashtags are a great way to reach new people. Instagram’s latest addition of hashtags basically everywhere (including the Instagram Stories in a visual way) can help you hunt down popular hashtags – or build your own. If you are using relevant hashtags that are related to your business, you will likely find the people who see your photos as ones who might be interested in your brand. Even though the general hashtags (like #food and #travel) are great, the experts recommend dedicated hashtags that can spark a lot of attention. Adding a call to action in your photo caption can definitely make your new profile visitors aware of the value that your account has. In parallel, call to action-powered captions are a great way to turn your visitors into followers – and maybe customers – all with no big effort required. Your actual photo caption should be meaningful and unique. Instead of posting something like “follow us for the latest updates”, you can speak about the product/service or idea that you are promoting in the image and then link it to your personal brand or business. Communicating the benefit that the followers have is in most of the cases what wins more of their hearts – and what increases the chances of them following your account. Partnered posts or posts by influencers mentioning your brand are another great way to win over more followers on Instagram. In reality, this strategy is much like a superpowered testimonial by a person who has a lot of followers and is well-respected in the industry. However, you should look for an influencer that is relevant to your industry/niche and one who has followers that can easily become your followers. For example, if you are a brand selling fitness gear, a fitness blogger or athlete using or wearing your product can be the perfect way for you to drive new customers to your business. If you are active on Instagram, you have probably seen all the influencers taking over the accounts (or Instagram Stories) of different brands. This strategy is a very powerful one – and a secret you should learn too. In a nutshell, the goal is to find a liked influencer on Instagram and connect with them, negotiating a deal for a takeover. Since they usually have (hundreds of) thousands of followers, even one hour of content with your brand in their feed can help you rake in (tens of) thousands of followers in no time. After all, unique and engaging content is never missed on Instagram and can definitely help you grow your base of followers. One of the best ways to monitor your success on Instagram is to invest in a tool that gives you information on your Instagram analytics. One of the best examples for that are Iconosquare or Crowdfire – both apps that are providing details about each of your posts, the growth of your follower base and the people that already follow you. Thanks to the advanced features that today’s analytics tools have, you can track your follower behavior and see how to improve it. This can set the right path to tracking the performance against your competitors and seeing how you can maximize the growth of your followers. It can also help you strive towards your potential and keep close to your schedule. The Instagram algorithm is built with engagement in mind – as one of the major considerations when the platform automatically determines how many people to show the post to. Basically, the more engagement a post has – the more people will see it in their feed. So, if your followers engage with your posts, it is more likely for one of the top posts to get in the Explore tab and reach even more people – gaining you even more followers. One of the best ways to do this is to like and reply to your followers’ comments. However, make sure to not do it aggressively (or you will look weird online). You just read the 15 greatest secrets in growing your Instagram followers. Even though it is important to watch your traffic and how increases day by day, there are still some other secrets you can employ to get more followers quickly and turn your fans into happy customers. If you ask the most successful influencers, celebrities and successful businesses who make money on Instagram about their success and how they got to it, you will get a single answer – automation. Every single account started with a follow. And every single successful business started with one sale made from Instagram. However, the important part was where they decided to automate things – and grow to a different level. At Manager Gram, we see ourselves as specialists when it comes to Instagram automation. From followers to engagement, we are here to show you how you can build a consistent profile and achieve the goals that you set. I want to get a lot of likes and followers!!! !